Cameroon is a country in Central Africa. It is bordered by Nigeria to the west, Chad to the northeast, The Central African Republic to east, and Equatorial Guinea, Gabon and The Republic of Congo to the south. The largest cities in population terms are Douala (Littoral region), the Business centre; Yaoundé (Centre Region), the Capital City and Garoua (North region). Cameroon is often described as “Africa in miniature” because it exhibits all major climates and vegetation of the continent: coast, desert, mountains, rainforest, and savannah as well as a diversity of culture including Christians, Muslims, pygmies, ancient Chiefdoms and modern cities sharing its 475,000 square kilometers. In addition, with both Francophone and Anglophone regions, not to mention some 250 local languages, the country is a vast ethnic and linguistic jigsaw and in contrast to many African countries, Cameroon enjoys a great deal of political stability. Although recent reports indicate that only 912,000 tourists visited Cameroon in 2014, it must be pointed out that the country is an emerging destination and is one of the most rapidly growing markets in terms of tourism in Sub-Saharan Africa and this could be due to the fact that Government officials are promoting Cameroon by ensuring that it becomes one of the best known and attractive destinations in Africa. According to Cameroon Traveller, Cameroon has over 900 species of birds, over 300 species of animals and is among the richest countries in Africa in terms of biodiversity. As a result, if you are passionate about ecology and wildlife, there is a wide range of attractions that will satisfy your needs. 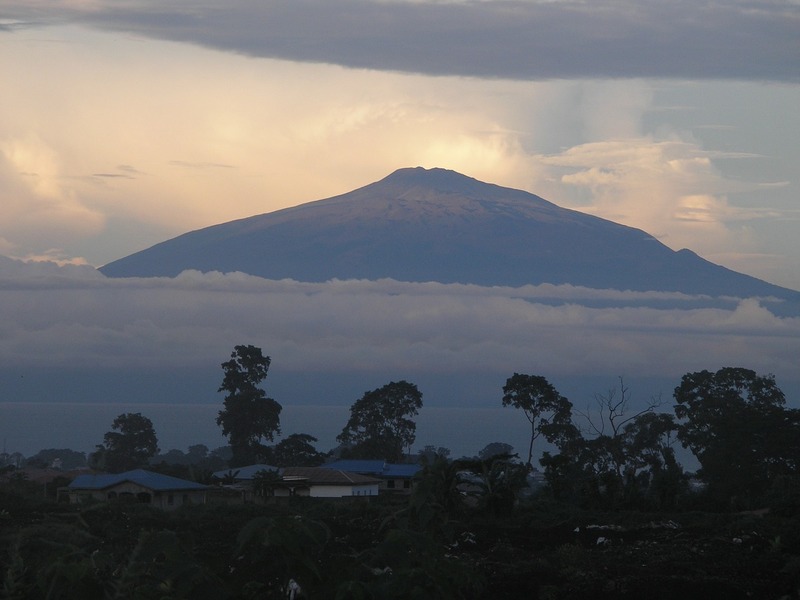 Buea is the capital of the Southwest region, and home to the breathtaking and awe-inspiring Mount Cameroon, an active volcano that stands at over 13,200 feet (4,023 meters) above sea level. 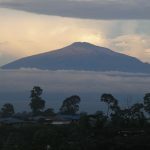 Mount Cameroon is one of the largest volcanoes in Africa, the highest peak in west Africa, and the fourth highest peak in all of Africa. Eruptions at the volcano date all the way back to the 5th century B.C. You can climb it if you want — just be aware it still erupts every 10 to 20 years. Korup National Park is a vast area, comprising 126,000 hectares of evergreen forest. The park is well maintained with resident scientists and well-marked trails. This park is located in a steamy rainforest that is one of Africa’s oldest, and has astounding biodiversity: 400 species of trees, 300 species of birds, 174 reptiles and amphibians, and 140 types of fish. Natural geographical attractions include Mana Waterfall, Rengo Rock, Bat Cave, and Big Boulder. About 180 miles to the north of Maroua is Waza National Park. This park looks very different during the four seasons but is always a good place to witness some of the country’s most spectacular wildlife including elephants, giraffes and hyenas. It is the perfect destination for a West African Safari. Self-drive vehicles are allowed to explore the park but you will need a guide. This is not necessarily a bad thing as you are much more likely to see the wildlife with a local guide that knows their stuff. Originally an Agriculture Center in the early 1900, Limbe Botanical Garden is the second oldest in Africa. It provides the opportunity to see rare flowers and walk amongst the 1,500 closely planted trees, many of which are medicinal. The abundance of trees and flowers makes the Garden a paradise for birds. Today, the Garden focus on conservation, Science and tourism as there is also a wonderful arts and crafts store where you can buy incredible souvenirs from all over Cameroon. Jointly run by the Government and the Pandrillus Foundation, the centre is home to 15 species of primates and several other animals native to Cameroon. It contains rescued chimpanzees, Gorillas, drills and other primates. The centre has a specific layout so that visitors feel like walking amongst the primates despite the electrified wire fences that secure both the animals and the tourists. A Unesco World Heritage site, The Dja Faunal Reserve is one of the largest areas of protected rainforest in Africa. 90% of the reserve consists of unspoiled and protected forest marked out by the Dja River which acts as a natural border for the area. The reserve is home to 107 mammals including a large variety of primates, for which the reserve is best known. Five endangered species are protected within the confines of the reserve. With more than 250 ethnic groups, the cultural landscape is extremely diverse. Over 250 languages are spoken within the borders of Cameroon. There are over 170 Niger-Congo languages alone and over 50 Nilo- Saharan languages spoken by Nilotic people. However, plenty of people speak English and French as well because they are the official languages of the country. There are still ancient traditions, colourful festivals, arts, crafts and artistic expressions throughout the country. Music and dance are still an integral part of Cameroonian ceremonies, festivals, social gatherings and storytelling. Cameroon hosts some of the most amazing and ancient cultures such as the traditional chiefdoms in the west, north-west and north regions, the Baka and Bagdeli Pygmies in the eastern jungle and nomadic Mbororos in the Adamawa and North regions. If a beach trip is on your itinerary, Cameroon has some of the best around and the beaches are stunning with crystal clear water, and fine glistening white or black volcanic sand. Kribi (South region) and Limbe (South-west region) are the places to go if you are looking for best beaches in the country. West Africa may not be known for beautiful cities but Cameroon’s Capital City, Yaounde is certainly on the list of best beautiful cities in Africa. The city is immaculately planned to be spread over seven hills meaning that the numerous buildings are separated by stretches of lush green and rising terrain. In addition to its layout, the city is clean and safe with several places to visit. Douala (where we are located – Do not forget to let us know if you are planning to be around) is the major city of Cameroon in most aspects; the airport is the biggest one as is the seaport and the business centre here is the main one in the country. Coastal Douala, the frenetic commercial hub is a great place to visit modern Cameroon and has a buzzing dining and nightlife scene. Cameroon cuisine is one of the most varied in Africa due to its location on the crossroads between the north, west, and centre of the continent added to this the profound influence of French food, a legacy of the colonial era. Cuisine varies by region, but a large, one-course, evening meal is common throughout the country. A typical dish is based on maize, millet, cassava plantains, potatoes, rice, or yams. Among Cameroonian specialties are brochettes, known locally as soya (a kind of barbecued kebab made from either chicken, beef, or goat), sangah (a mixture of maize, cassava leaf and palmnut juice, mbanga Soup and kwacoco), eru and water fufu, ndolé (a spicy stew containing bitterleaf greens, meat, shrimp, pork rind, and peanut paste), koki (primarily consisting of black eyed peas and red palm oil), achu or taro (cocoyam fufu with an orange/yellow red palm oil soup) and many others. Curries, soups and fish dishes abound, as well as meats on skewers. Insects are eaten in some parts of the country (particularly the forested regions).Water, palm wine, and millet beer are the traditional mealtime drinks, although beer, soda, and wine have gained popularity. Recent data suggests that there are 579 Hotels in Cameroon and if you decide to visit a particular place, you will always find a cheap Hotel to cater to all your accommodation needs. The main airport is the Douala International Airport and there is another International airport in Yaounde as well as secondary airports in towns like Bafoussam (West region) and Garoua (North region). Furthermore, Cameroon has regular international connections with nearly every major international airport in Europe, West Africa, Southwest Africa and East Africa. With reasonable infrastructure, travel is a lot easier than in many parts of Africa, therefore hiring and driving your own car won’t be an issue. The public transport is also better than in many other African States meaning that you will never be stuck in one place in the country. Visa and Mastercard cash machines can be found in most major cities and as a consequence, cash withdrawals are possible at many banks and it will be easy for you to get local currency for all your spending needs (1 Euro=655.957 CFA FRANCS). Internet is largely accessible in Cameroon and there are several telecommunication companies offering mobile data bundles so that you can keep in touch with your friends and family, while visiting the country.